The Navajo skinwalker legend is one of the more complex and terrifying stories, steeped in mystery and evil intent. Many Navajos believe firmly in the existence of skinwalkers and refuse to discuss them publicly for fear of retribution. They believe skinwalkers walk freely among the tribe and secretly transform under the cover of night. 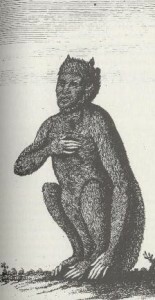 The term yee naaldooshii literally translates to “with it, he goes on all fours.” According to Navajo legend, a skinwalker is a medicine man or which who has attained the highest level of priesthood in the tribe, but chose to use his or her power for evil by taking the form of an animal to inflict pain and suffering on others. To become a skinwalker requires the most evil of deeds, the killing of a close family member. They literally become humans who have acquired immense supernatural power, including the ability to transform into animals and other people. According to the Navajo skinwalker legend, these evil witches are typically seen in the form of a coyote, owl, fox, wolf or crow – although they do have the ability to turn into any animal they choose. Because it is believed that skinwalkers wear the skins of the animals they transform into, it is considered taboo to wear the pelt of any animal. In fact, the Navajo are only known to wear two hides, sheepskin and buckskin, both of which are only used for ceremonial purposes. Those who have talked of their encounters with these evil beings describe a number of ways in which a skinwalker will try to inflict harm. Some describe hearing knocks on the window or banging on the walls. Others have spotted an animal-like figure peering in through a window. According to Navajo skinwalker legend, they are seldom caught. Those who do track a skinwalker and learn of their true identity must pronounce the name of the evil one in full. Once this happens, the skinwalker will get sick or die for the wrongs they have inflicted against others.